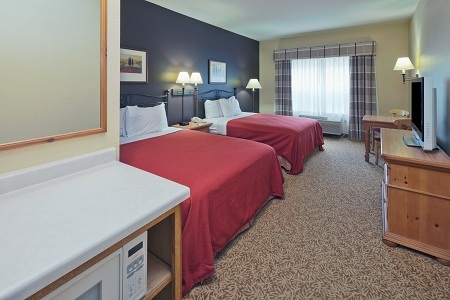 Located near the intersection of I-41 and Highway 167, the Country Inn & Suites® by Radisson, Germantown, WI provides a peaceful alternative to the hustle and bustle of Milwaukee. Make the 30-minute drive into the city to explore Milwaukee County Zoo, browse unique shops and sample fine cuisine. You can also visit the Bast Bell Museum or fit in a round of golf. Start each morning with our complimentary, hot breakfast, featuring breakfast burritos, waffles and fresh fruit. Need a quick bite? Grab a cup of coffee and a bagel before rushing out the door. For lunch or dinner, try one of the many restaurants within two miles of the hotel. Kurt Schulz Deli serves up tasty sandwiches on scratch-made bread, and La Chimenea dishes out classic Mexican cuisine. Dheinsville Historic Park & Museums – Five minutes from our hotel, this district honors the area’s founding German immigrants. The Historic Park is home to the Bast Bell Museum, which features a bell tower fashioned out of an old farm silo. Milwaukee County Zoo – Located 20 minutes from the hotel, this zoo contains more than 400 species of animals. Catch underwater views of frolicking Humboldt penguins, and hop aboard the Sky Safari for a bird’s-eye view of the park. Downtown Milwaukee – Filled with sweet spots like Indulgence Chocolatiers and hoppy havens like Milwaukee Brewing Co., the bustling heart of Milwaukee is just 30 minutes from our hotel. Enjoy a game with the hometown Bucks or Brewers, or meander your way through neighborhoods packed with fun shops and restaurants. 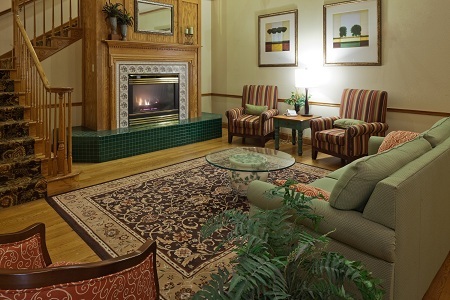 Hosting an event in Germantown? 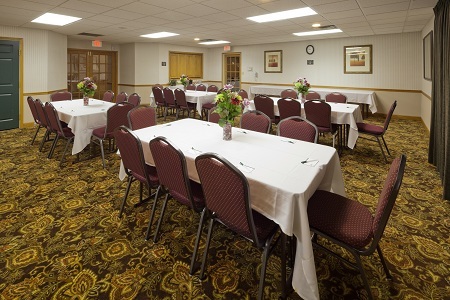 Our convenient location beside Florian Park and close to Milwaukee is perfect for your business meeting or social function. We offer a meeting room equipped with free high-speed Internet access, seating for up to 50 guests and presentation aids. Our friendly staff is also on hand to assist with event planning and setup.